Dr. James C. Kroll, known to many as "Dr. Deer," is one of the foremost authorities about white-tailed deer biology and management. 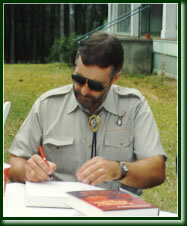 In 1991, he made his first trip to Harriswood Plantation and developed a comprehensive management plan to develop trophy White-tailed Bucks on the property. His subsequent visits ensure the program is on track, and the development of the herd is at its peek. As Director of the Institute for White-tailed Deer Management and Research, Stephen F. Austin State University, School of Forestry, Kroll has more than twenty years of research and management experience with the species. He also is a regular writer for more than thirty outdoor magazines, including North American Whitetail, Texas Sportsman, Journal of the American Trophy Hunter, and many more.